Import the Baseplate class. You can then use the helper functions to build responsive layouts easily. I've included lots of breakpoints to give as much freedom as possible. You don't have to use all. Baseplate operates on a "up to" principle. If the screen width is less than or equal to your breakpoint (and there isn't one smaller) that's the one that will be used. It's a 12 column layout, similar to Bootstrap on the web. Fixed logical error causing padding to display incorrectly when wrapping onto two rows. Switched to FractionallySizedBoxes to enable nesting of rows. 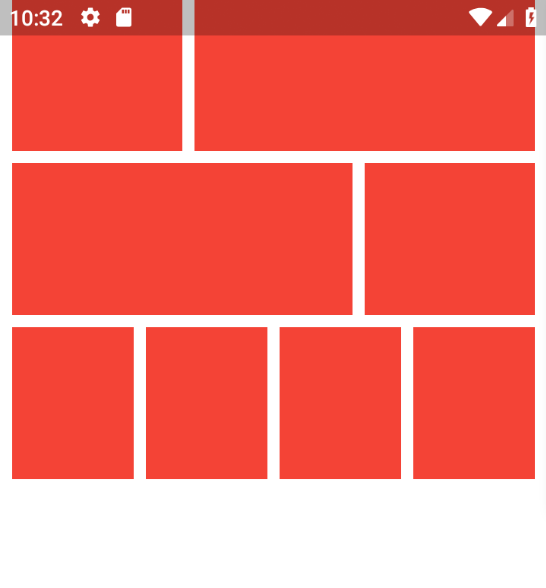 Could break layouts on some devices hence the version increase. Removed unnecessary named parameters on the row constructor. line 11 col 7: Name types using UpperCamelCase. line 88 col 7: Name types using UpperCamelCase. line 103 col 9: The value of the local variable 'i' isn't used. Common filename patterns include main.dart, example.dart, and baseplate.dart. Packages with multiple examples should provide example/README.md. A responsive frontend material framework designed to emulate the behaviour of Bootstrap on web.